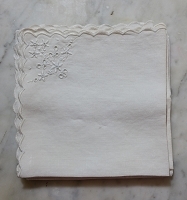 Cloth napkins were a staple in homes until the 1950's when paper napkins became available. The busy housewife didn't have to launder or iron them and presented another way to save time in her day. 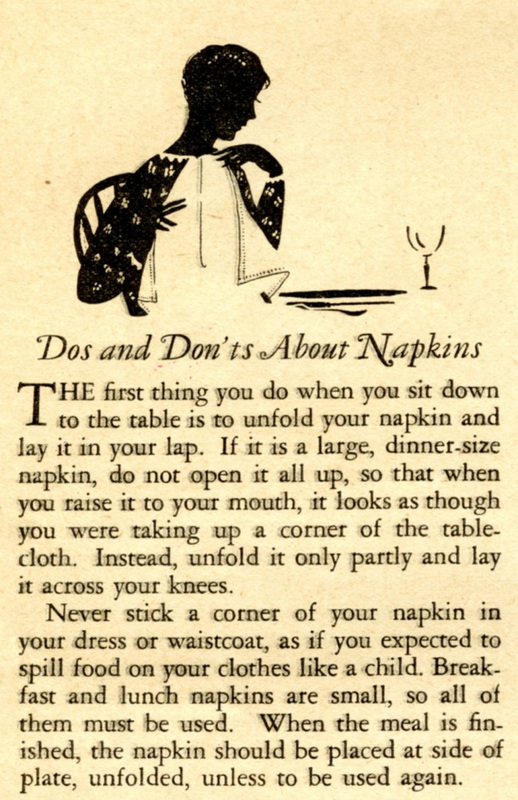 Nobody will judge you for setting your nightly family table with paper napkins or - heaven forbid - a folded paper towel. But when you have company over, please provide cloth napkins. 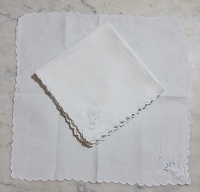 Even take-out dinners seem like a special occasion when you set the table with cloth napkins. Evan if you're just having cheese, wine and crackers at my house then you're special enough to me to deserve a cloth napkin. Many families actually use cloth napkins as a means of going green and saving more paper from the landfills. 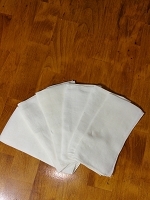 COCKTAIL NAPKINS or BEVERAGE NAPKINS are used to hold a cocktail glass, protecting one's hand and the hostess's table tops from dripping condensation. They generally measure 10" square or less. 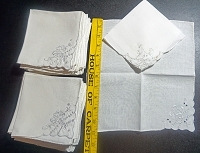 LUNCHEON NAPKINS generally around 13" x 13" to 18" x 18". 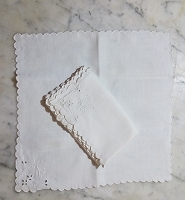 DINNER NAPKINS are generally 22" x 22" or larger.